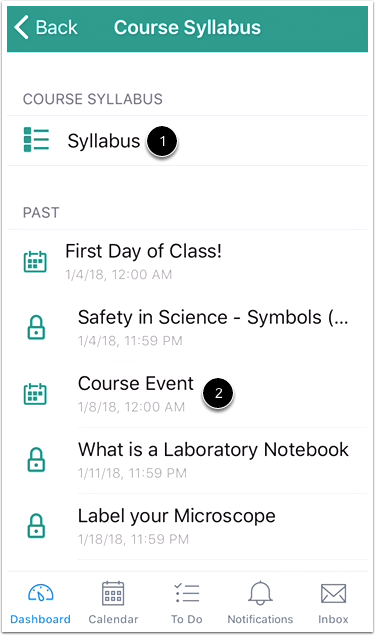 How do I view the Syllabus in the Student app on my iOS device? 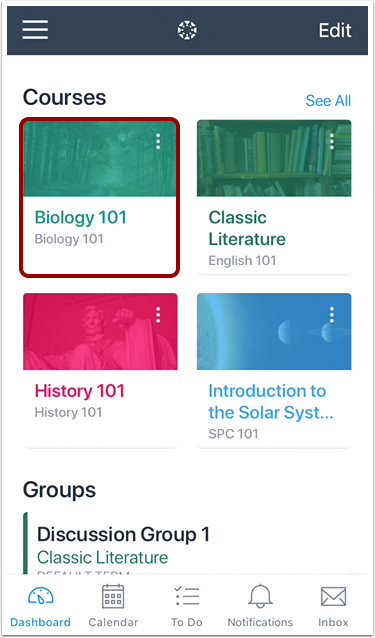 Canvas lets you access the Syllabus and course assignment list from your mobile device. Note: The Course Navigation menu matches the browser version of your Canvas course. 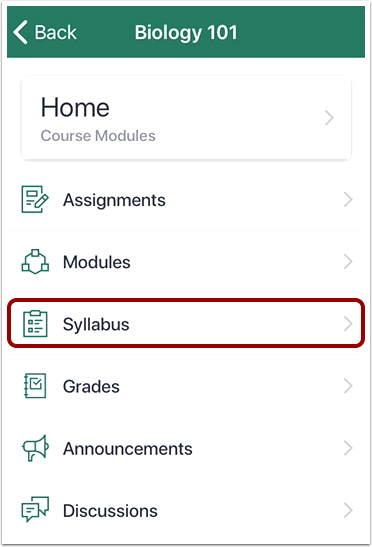 If the Syllabus is not available in Course Navigation, it will also be hidden from view in the app. The app lists all assignments for the course syllabus. Assignments are grouped by date: past due, next 7 days, future, and no date. To open the Syllabus description, tap the Syllabus link . To open an assignment or event in the syllabus, tap the name of the item . Previous Topic:How do I take a Quizzes.Next assessment in the Student app on my iOS device? Next Topic:How do I act as a user in the Student app on my iOS device? Table of Contents > Course Features > How do I view the Syllabus in the Student app on my iOS device?